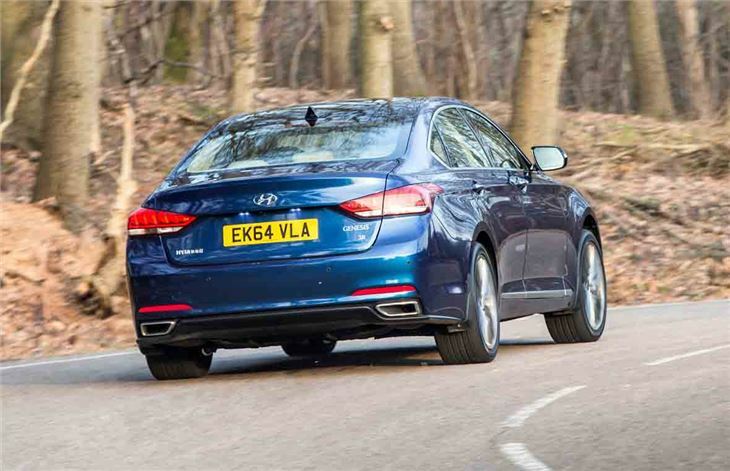 Large saloon from Hyundai similar in size to a BMW 5 Series. Elegant and understated. Well equipped and refined. Five-year/unlimited mileage warranty. In the UK only for ‘selected buyers'. Badge snobbery. Large-car depreciation. Thirsty petrol engine. Before we start, we perhaps ought to establish one fact. 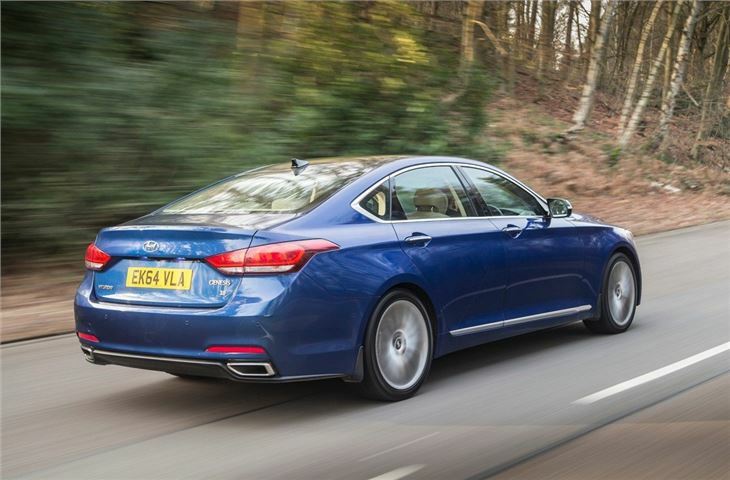 The Genesis is not a car with which Hyundai is planning to boost its UK sales. 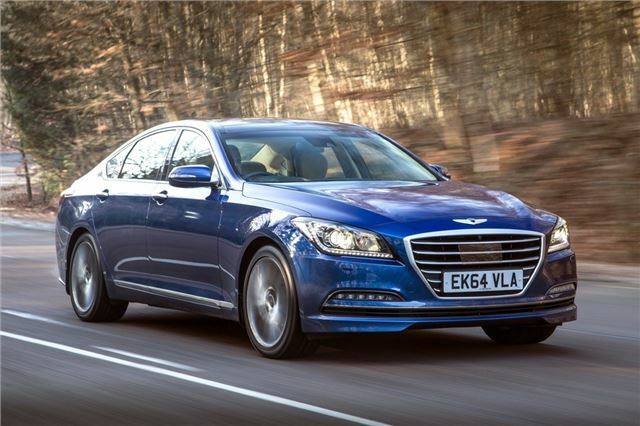 Designed primarily for North America, the rear-wheel drive Genesis – somewhere between a BMW 5 Series and BMW 7 Series in size – has arrived in the UK with an objective of changing perceptions about the brand. No doubt the Korean Embassy might be interested and there might be a handful of well-off Hyundai customers who on seeing the car at selected dealers where it’s available (currently seven), could decide it’s what they want. 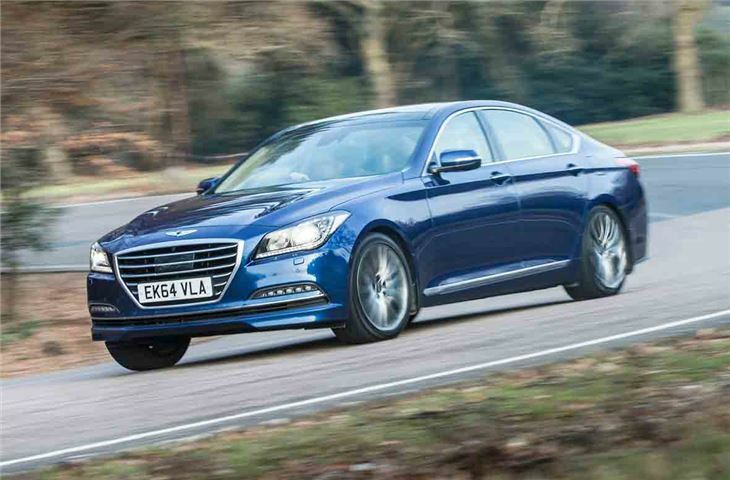 We'd be surprised if anyone who has a BMW 5 Series, Audi A6 or Mercedes-Benz E-Class on their shopping list would be interested in the Genesis, although it says more about brand perceptions and badge snobbery than it does about the Hyundai. The Korean manufacturer has brought a range-topping saloon to the UK before. 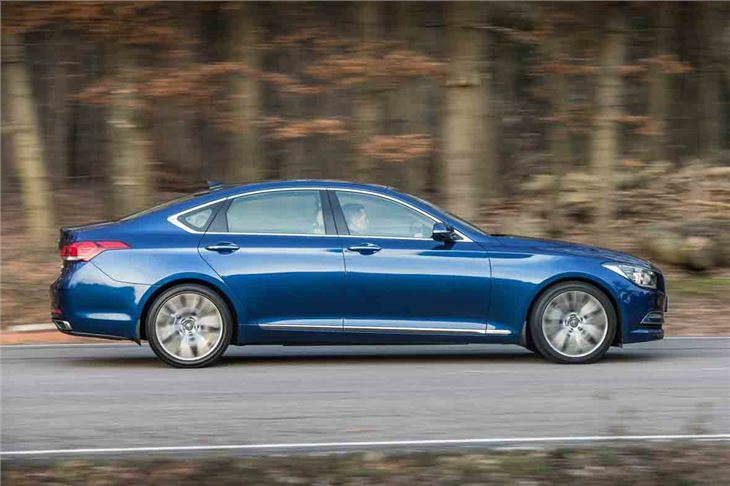 Some might remember the XG30 introduced in the 1990s. More recently, there was the Grandeur, a large front-wheel drive V6 saloon only available from one dealer. The Genesis is different. 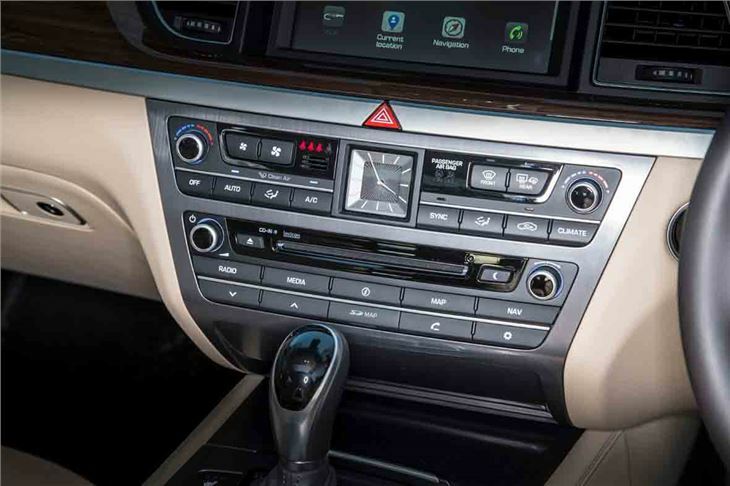 While those earlier models felt like a typical Hyundai scaled up to a large saloon, the Genesis feels every bit as much of a premium car as a BMW or Mercedes-Benz. One version is available and it comes with a 311PS 3.8-litre V6 petrol engine, mated to an eight-speed ZF automatic gearbox. 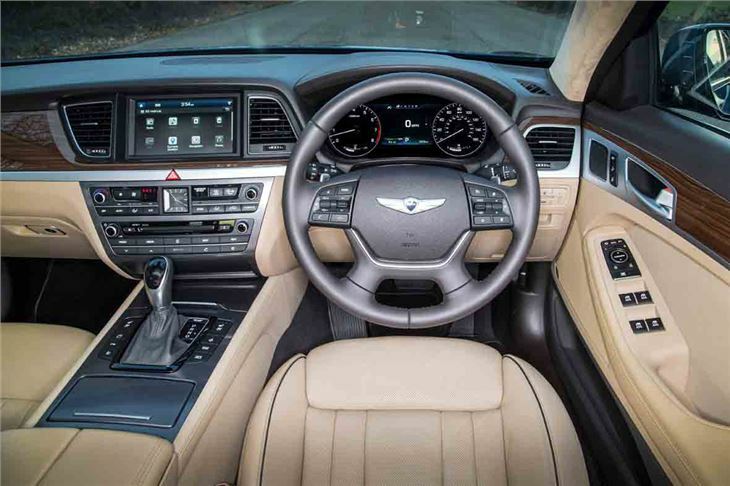 It is priced at £48,005 on the road, which seems a lot to pay for a Hyundai, but for a German saloon of this size and with this level of equipment, you’d be looking at paying closer to £60,000. On that basis, although depreciation is heavy, it is probably competitive with premium German cars. The Genesis isn’t really trying to steal sales from German premium cars. It’s more of a statement of what Hyundai – one of the five biggest car manufacturers in the world – is capable of. And a little about what we can expect from its future mainstream models. Superb drive and gorgeous asthetics.